Uber will share information on its flying ride-share network, while NASA will use airspace management modeling and simulation algorithms to evaluate the impact flying taxi operations could have in an urban area. The agency will use its research facility at the Dallas-Fort Worth airport to simulate flights and analyze if the operations could lead to traffic collision advisories. 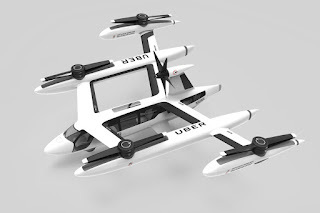 Uber signed a second Space Act Agreement with NASA to explore urban air mobility as it pushes forward with its flying taxi project.